Romania’s presidency of the EU Council has recorded today a remarkable breakthrough by getting mandate to initiate negotiations with the European Parliament in relation to one of the most sensitive and important legislative dossiers of the EU agenda – the revision of the natural gas Directive. The demarche initiated by Romania’s presidency of the EU Council enjoyed broad support from the member states. The dossier was managed in the direct coordination of the Prime Minister, given its complexity and impact for the functioning of the internal market and for the consolidation of the EU energy security, a dossier of geostrategic significance. The Directive proposal aims to ensure a uniform, transparent regulation framework at the EU level, by extending the application of the European common norms to the interconnection projects in the field of natural gas with third countries. Today’s success, recorded after extremely difficult negotiations at the EU Council’s level for more than a year, alongside the significant support of the member states given to the Romanian presidency of the EU Council, once again highlights our joint commitment – member states and European institutions– to act for the benefit of the entire European Union. 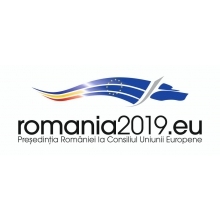 On grounds of the mandate granted by the member states, Romania’s presidency of the EU Council intends to initiate as soon as possible the negotiations with the European Parliament to complete the dossier faster, within the current European legislative cycle.